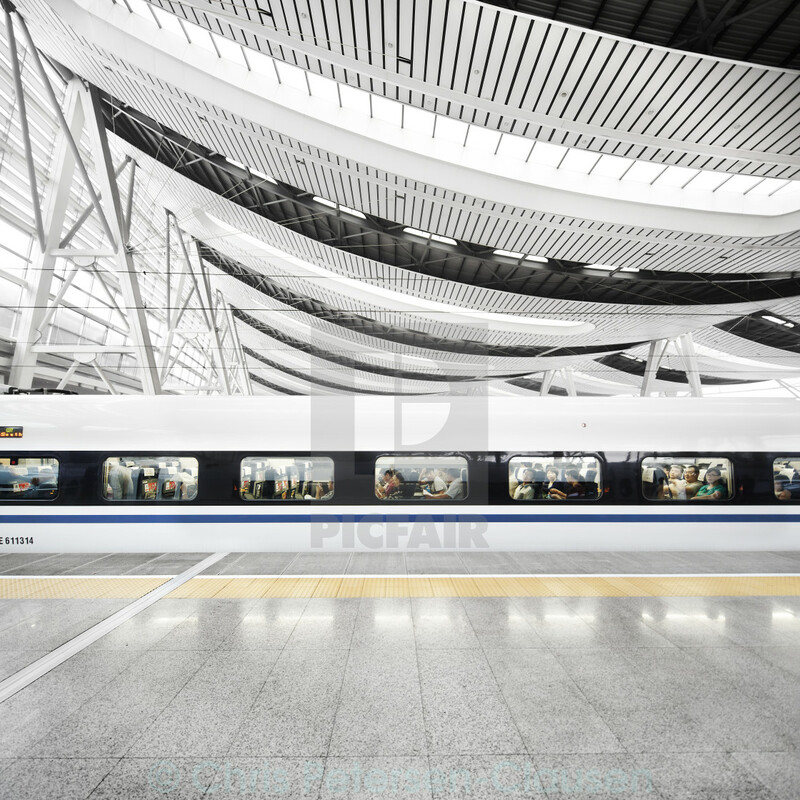 A high-speed train to Shanghai Hongqiao waits under the massive curved roof of the Beijing South Railway Station (北京南站). The oval-shaped station, which was opened in 2008, is flooded with light. It covers 320,000 square meters, more than the Beijing National Stadium. Its 24 platforms have the capacity to dispatch 30,000 passengers per hour or 241,920,000 a year. The waiting area can accommodate 10,000 passengers.